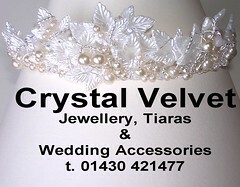 Crystal Velvet Weddings: Buttonholes ~ something new for me. 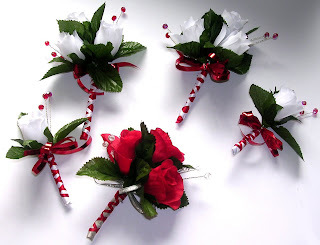 Buttonholes ~ something new for me. Having recently completed an order of cake jewellery for a client I was asked to create some bouquets and some button holes. The bouquets I'll save for another post! The cake jewellery was created with silver metalwork and red crystals. 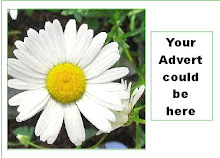 The idea was to continue the theme for the groom, groomsmen and pages button holes. For the groomsmen I selected white silk roses and arranged them with red crystals in clusters of three, The buttonholes were finished off with red silk ribbon overwrapped in a Scotish weave with white satin ribbon. 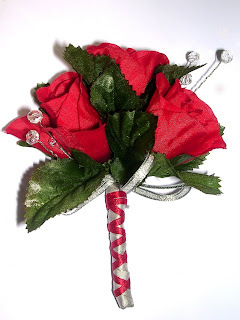 The grooms buttonhole was created to the same pattern but with red roses, clear crystals and then it was wrapped in silver stin with red overweave. 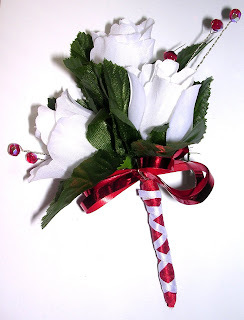 The pages will be quite young and thereofre i stayed simple with a single white rose, white and red satin wrap. 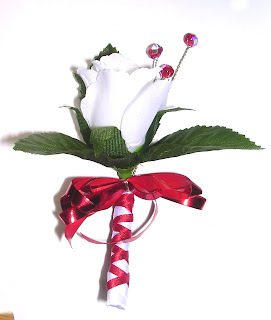 Buttonholes can be created with whatever flowers you require and can be designed to suit your scheme. You've done a beautiful job!